Stale air, poor ventilation and the build-up of condensation are potential problems in the modern home, particularly in the kitchen and bathroom. Extractor fans can help; they’re easy to install, cheap to run and, most important, extremely efficient. 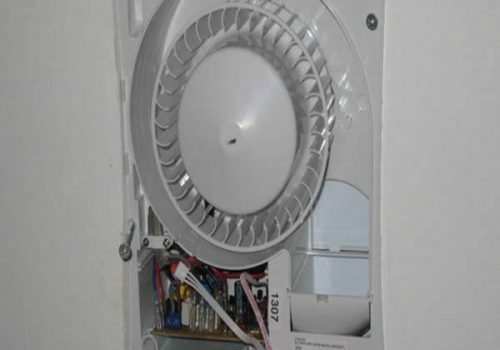 Which type of fan you install is obviously determined by the size of the room but also by whether there is an accessible external wall available. It’s simple to work out the size of fan required for a particular room. All you do is work out the volume of the room in cubic meters or feet by multiplying the length by the breadth by the height. Then multiply that volume by the number of air. It your home has already been fitted with an extractor fan, and it has proved to be less than satisfactory, the chances are that it has been sited in the wrong place. The most common sign of that is poor ventilation – the result of the short circuiting of air movements between the fan and the air inlet. 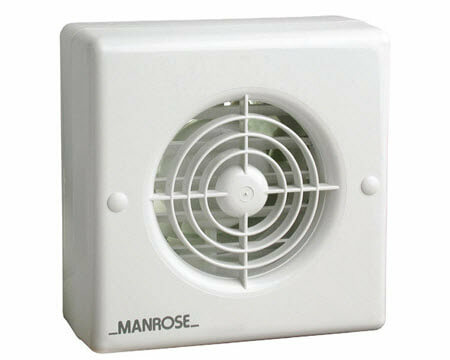 The extractor fan should be sited as far away from and, if possible, opposite the main source of air replacement. In a kitchen, fans should always be fitted as high up as possible on a wall or window, but it is advisable not to install one immediately above a cooker or grill where temperatures are likely to exceed 40°C. So, the best place for it to be located would be on the wall or window adjacent to the cooker and opposite the door or main air inlet. It is vital to make sure there is an adequate source of fresh air. 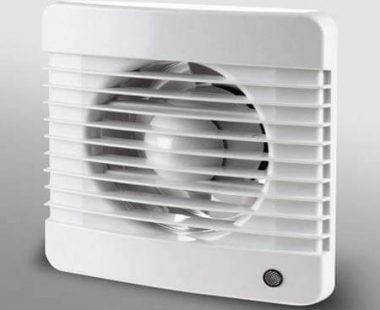 If you have natural gas or smokeless fuel heating and your house is well sealed, but with no air inlet, an efficient extractor fan might cause a reversal of flow in the flue gases, which would prove extremely dangerous.In addition, without an adequate inlet, the air pressure might drop and so impair the efficiency of your fan. If you intend to fit a wall fan, it shouldn’t be placed any closer than two brick lengths to a wall edge for tear of causing structural weakness. So, working out where to fit the fan is crucial to its ultimate success in ventilating your home. It you have any doubt about the supply of fresh air it might be an idea to fit an air brick.